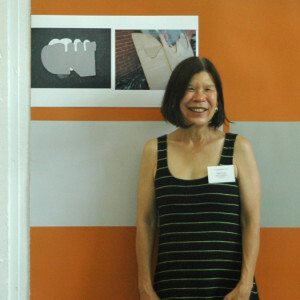 Mary Lum is a painter who cuts images into fragments then reassembles them into dynamic compositions to create works that change between the recognizable and the abstract. She earned her B.F.A at the University of Michigan and her M.F.A at Rochester Institute of Technology. Lum’s work has been exhibited throughout the US including Mass MOCA, The New York State Museum, the Herbert F. Johnson Art Museum, and the Everson Museum. Her work has also been exhibited in the UK, France, and Germany. She has received several awards including the Guggenheim Fellowship Award, Special Opportunity Stipend from NYFA, and the NYSCA Individual Sponsored Project Grant. Lum resides in North Adams, MA. She frequently visits NYC, DC, Boston, Paris, and London.